The MNO Credit River Métis Council represents Métis citizens in the areas of Halton and Peel. We are a not for profit council of volunteers, who support citizens, plan events, and host council meetings for our catchment. All Métis Citizens are welcome to attend, however you must be a registered Métis citizen to vote. All community Métis Nation citizens are invited to and encouraged to participate in Council elections, and local council programs and events. The Credit River Métis Council (CRMC) serves the Citizens of the Métis Nation of Ontario in a very large, densely populated area (yellow on the map) that is an urban and rural mix. 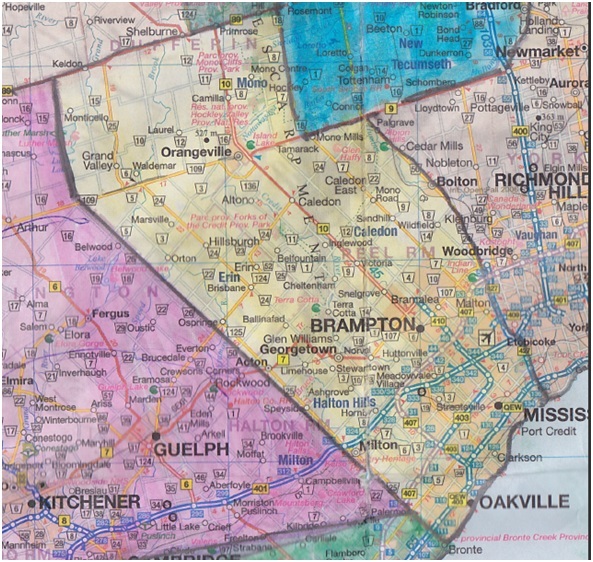 The CRMC area covers major Cities and Towns such as Bolton, Brampton, Caledon, Erin, Georgetown, Halton Hills, Malton, Milton, Mississauga, Oakville and Orangeville. Also included in the CRMC area is Acton, Alton, Ashgrove, Ballinafad, Belfountain, Bramalea, Brisbane, Caledon East, Camilla, Cheltenham, Clarkson, Glen Williams, Grand Valley, Hillsburg, Hornby, Huttonville, Inglewood, Laurel, Limehouse, Marsville, Meadowvale Village, Mono, Mono Road, Mono Mills, Monticello, Norval, Orton, Ospringe, Port Credit, Sandhill, Snelgrove, Speyside, Stewart Town, Streetsville, Tamarack, Terra Cotta, Victoria, Waldemar and Wildfield.